Today, the constantly-evolving market offers customers an incredible variety of products to choose from, and you are suffering from this customer “disloyalty”. Before it was easier: launch of an unknown brand, advertising of the newest product, a big board in the window, weekly offers, and your profits were going up, up, up! The government was not reducing the margin on prescriptions, and there were no rules to opening a store in a mall. All you had to do was buy the simplest and affordable fixtures and rent in a good and crowded location. Everything was simpler, people walked in, and profits were growing. NOT anymore! Now it’s very hard: competitors are opening pharmacies all around you. 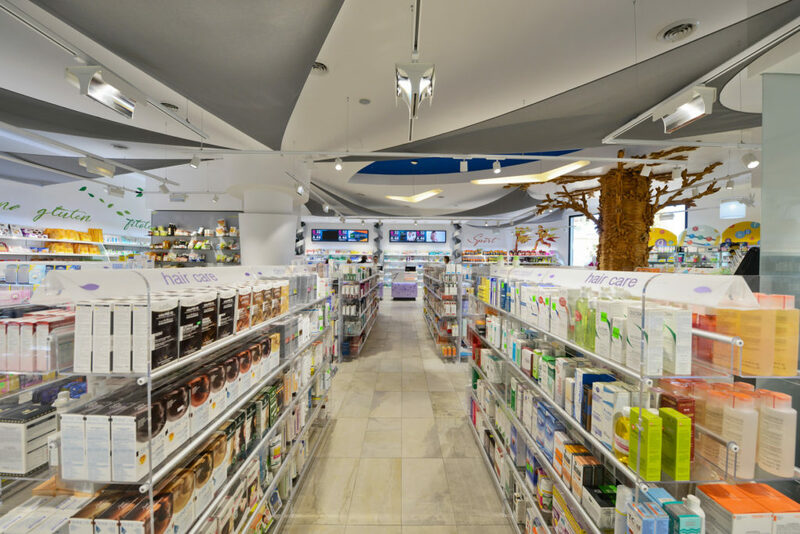 They offer the same brands, the same products, the same atmosphere… and soon online pharmacies will start shipping directly to people’s homes. Your market is going down and you don’t know what strategy to adopt. But there is hope There’s a path to follow. All you need to do is shift your strategy. If you follow those 5 simple steps, you’ll be able to overturn the current situation and glide to success by becoming a winning pharmacy chain. 1. Know your market: it’s easy: if you don’t know your market really well, you can’t penetrate it in a solid way. You need to understand what your market is looking for, what do your customers really want? Is there a gap in the market that you can fill? Analyzing your market is the 1st step to doing this. So, which marketing analysis tools do you need? You can start with a simple SWOT analysis (Strengths, Weaknesses, Opportunities, and Threats). Strengths and weaknesses are internal to the company,. This can be your reputation, patents, location etc…Opportunities and threats are external, for example your competitors, prices, and suppliers. 2. Position yourself in your market: you need to be focused. Once you understand what is missing in your pharmacy market you need to be the 1st mover in that market, positioning yourself and gaining 1st place. Like Al Ries says, you need to occupy the 1st position in people’s minds. Marketing is the tool that permits you to win people over. Let’s look at an example. In your market, no-one has developed a Natural Pharmacy chain and you have understood that Health & Wellness is what the market trend is asking for right now. So you need to focus on it, you need to become the expert in this specific sector, so that when someone is looking for natural products, you’re the first name that comes to mind. Of course logo, interior atmosphere, materials and graphic everything will remind your customers who are you and what is your focus. 3. Start creating your identity: everything is connected once you know which direction to take. Your pharmacy chain needs rebranding or if it’s a totally new venture, a new concept. Creating a brand, planting that seed in people’s minds takes years, so let’s start to create a concept first! This means: a new logo, a new claim, a new look, new atmosphere, new categories and new communication between you and your customers. All this is information is in a manual: the Pharmacy Chain Guidelines manual. A book that will be used by all your managers and operative employees in different aspects. If brands pose the ultimate battle with your customers, this is your 1st war. 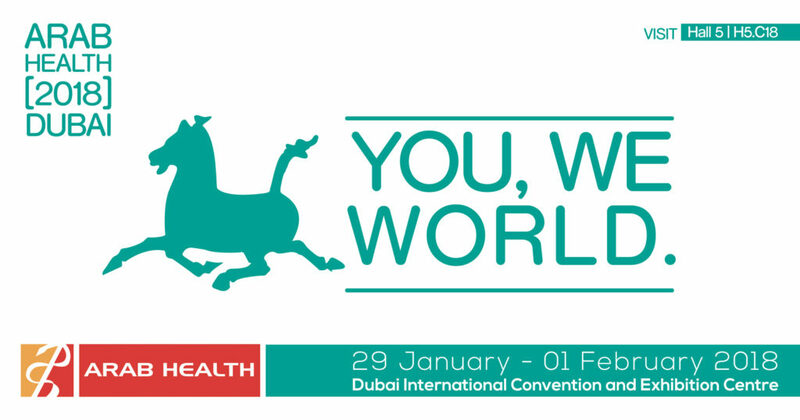 To do this in the best way you need to be surrounded by professional and expert people focused only on pharmacies. Tell a story, your story! People like things they can talk to people about. You must nurture the idea of being part of a group, of a tribe. Your customers will be happy to hear this adherence and membership of your pharmacy group. Take advantage of the group to feed your marketing, collect opinions and report them on your leaflets and website. 4. Train your staff: Train your staff to represent you in the right way and to be ready for anything that comes their way. Help them grow by constantly refreshing their knowledge and praise them for their work. Being a team means engaging in company architecture. Smile smile smile! Never underestimate the power of a smile and kindness. Most of the time it will result in a sale or a step towards customer loyalty. The growing population, longevity, and the pharmacological advances that accompany these phenomena will not only bring you new customers, but also people who will rely on you for advice and assistance. Get your customers back! When standing in front of a great offer they’ll need your expert advice and will buy from whoever can offer the added value of help. Also think about creating consumer-centric categories. This is why your pharmacists will need to put consultancy first, by creating areas for specialized services, prevention and cure, wellness and beauty. Your pharmacists will need to learn how to cross-sell and offer solutions to problems that your clients don’t know they have. This means a well-prepared pharmacy chain, a professional pharmacy chain. 5. Create a different pharmacy chain, a phygital pharmacy chain: What is a phygital pharmacy? It’s another idea of the pharmacy, not commercial and aggressive but professional. An exciting and interactive place to hang out every day with family and friends. “Phygital” environments, perfectly integrated with the digital world and where people feel good about themselves. 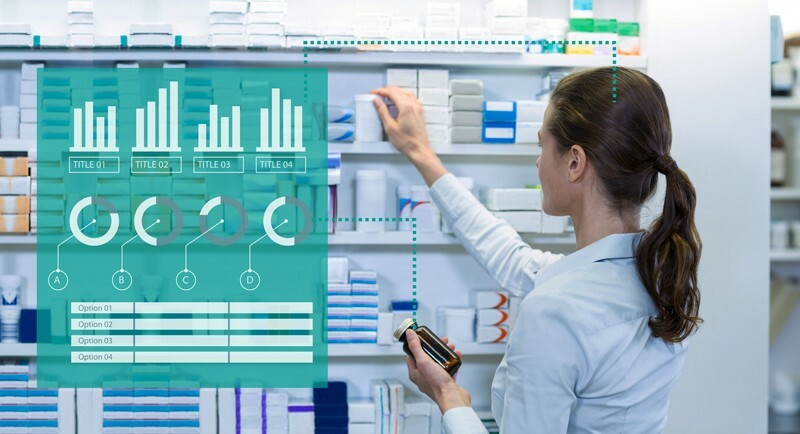 “Phygitalisation” will allow your pharmacy chain to create a real customer experience in the store and improve and facilitate sales. Customers will have more information about the product, quicker. So, the experiences in the store will be more fun and encourage customer loyalty. Promoters and pharmacists will be more efficient because they can use tablets to find information more quickly. 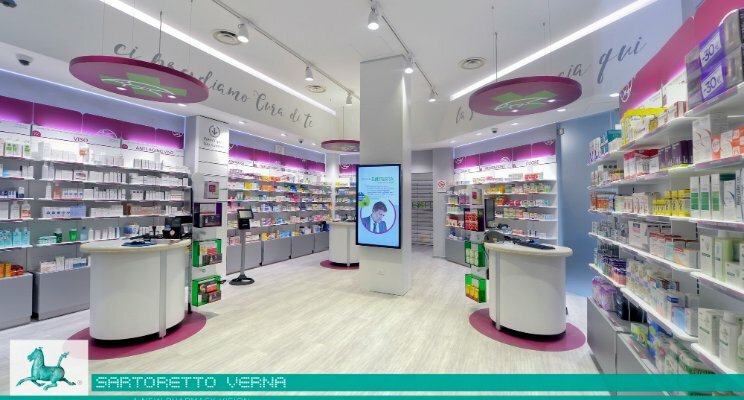 So a pharmacy where you’ll use technology to acquire more customers, and complete more sales, attracting people thanks to innovative fixtures, but at the same time making your customers feel relaxed and comfortable. Those feelings will have a positive impact on the shopping experience in terms of time and spending. Through the choice of materials, colors and lighting you should create a magical atmosphere where people feel comfortable whatever walk of life they are from. The environment isn’t just about what you can see, but what you can feel when entering a space. Well-being is the common goal, this is the value of architecture. We can be your partner, your specialized consultant to focus on growing your pharmacy on your new journey and after! 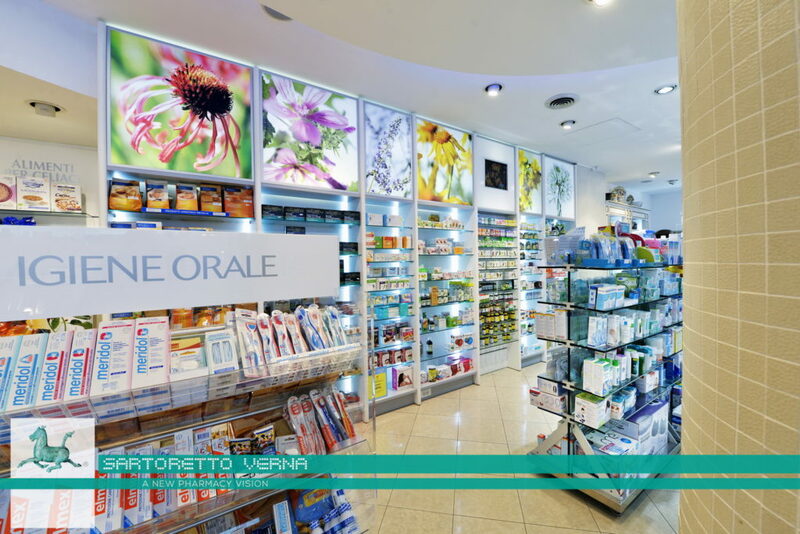 We have followed pharmacy evolution worldwide for over 53 years. 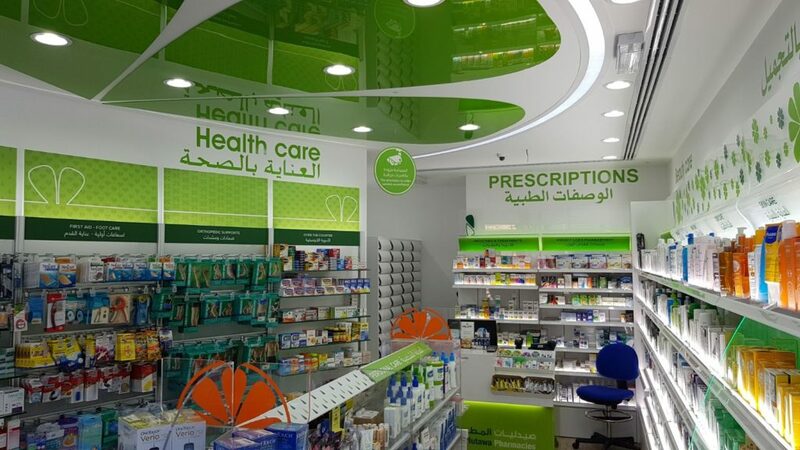 We have a unique experience, and a know-how that makes our projects original because we have a different idea of the pharmacy, as the focal point of your community. Italian creativity, unique design, a family-run business with solid roots and values. Sartoretto Verna SRL is all this and more. 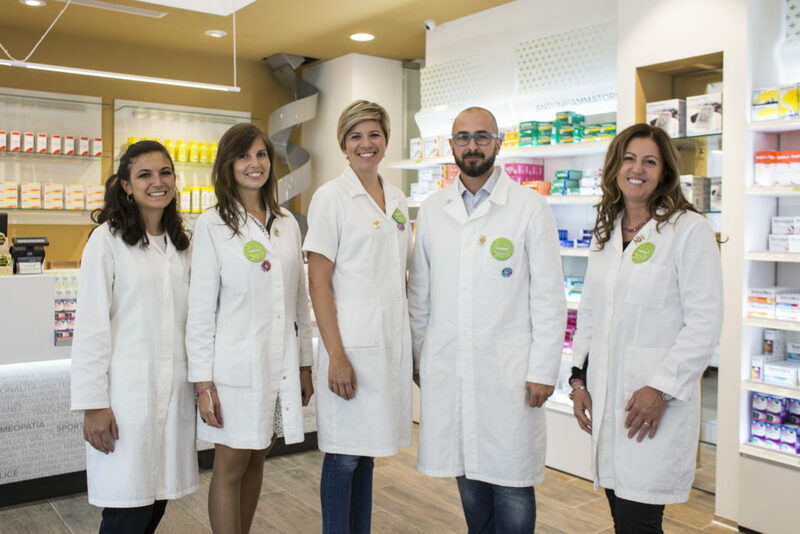 Our hub for pharmacy businesses is in Rome, and you’re always welcome to come visit and discover a new direction. AND CHANGE YOUR PHARMACY CHAIN VISION!